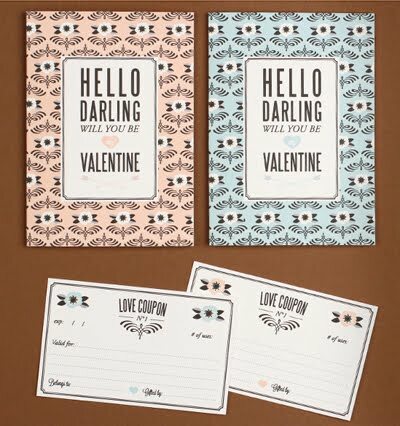 Love vs. Design has posted a pretty set of folded cards and Valentine's Day coupons to give to your sweetie. Download them right here for the nice price of zero dollars. For some reason, I chuckled when I saw the spot for an expiration date on the coupons. Yeah, that offer of washing dishes might only be good for one day. Use it or lose it! I know a special guy that is going to love getting this card. Thank you! Very cute. Remind me a little bit of 1920s England designs. Simple but pretty. I just posted some free printable valentines of my own. Enjoy! I combined illustration, quilling and cut paper to make something that's totally unique!